Kenny Chesney will be hitting the road next year with Miranda Lambert, and now we know the date of one of his most popular yearly tour stops. 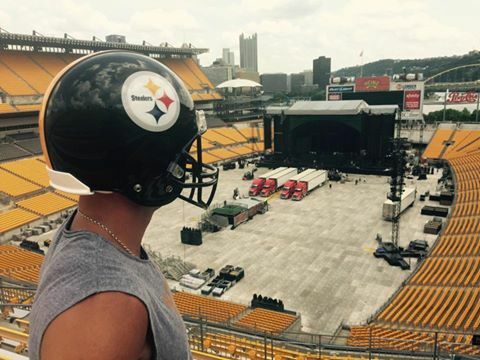 The Pittsburgh Steelers spokesman announced on Monday that Kenny will perform at Heinz Field on July 2, 2016, with tickets going on sale December 4. Prices and further details will be announced on Tuesday morning. Also revealed during the tour stop announcement is the news that Kenny’s tour will be called the Spread the Love Tour. Look how totally sweet this is! Danielle Bradbery reunited with Miranda Lambert last night and took photographic evidence of it! Sure love these two!